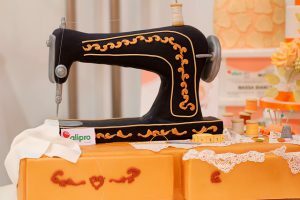 If you’re thinking about buying a sewing machine and need a little advice, the following information is for you. With so many different manufacturers on the market today, it can be a little confusing and overwhelming to decide what to purchase. The information below will help you select a sewing machine that best fulfills your needs. Quality. Dealers often carry better brands of machines that aren’t available through “big box stores” or online retailers. Knowledge. The owners of these stores are often trained by the sewing machine manufacturers and can pass that valuable information onto you. This can’t compare with reading the description on a box, or taking the advice of a store clerk that has never used one before. Selection. When buying a sewing machine from a dealer, you will find that many of them have models on display that you can “test drive” before buying. The dealer can explain and demonstrate different features on several machines so you can easily compare them and decide what is best for your needs. Education. (Check with your dealer to see if they offer this benefit.) The dealer near me provides a free instructional class when you buy a sewing machine from them. This class ensures that the purchaser knows how to correctly operate and use all the features on their new machine. This can be an invaluable tool to a beginning sewer to have a “hands on” demonstration of the different stitches and features of their new machine. Service /Repair. 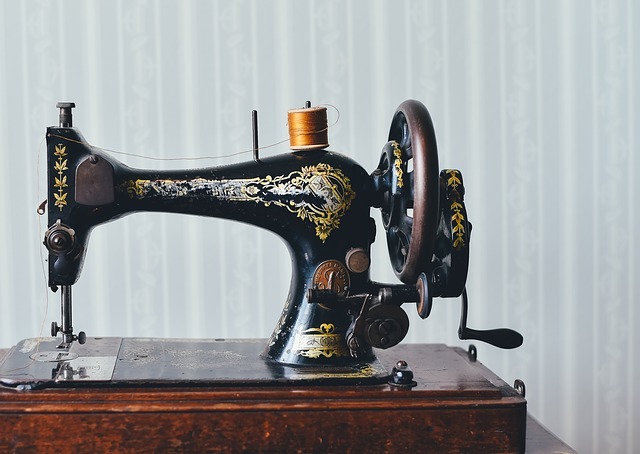 Knowledgeable, trained personnel to service and or repair your machine is a valuable resource to have and something to keep in mind when buying a sewing machine. You may feel that buying through a dealer is only for people who can spend large amounts of money on a sewing machine. Not true! Do your homework before visiting a dealer and get an idea of what other machines cost online. Make a list of the machines, brands and features that interest you. You may be pleasantly surprised to find a better brand from a dealer at a similar or slightly higher price. I realize that buying a sewing machine from an authorized dealer is not always a possible option for everyone. In that case, buying online or in a large retail store is the next best alternative. Don’t buy a particular machine ONLY because you think you know the brand name. 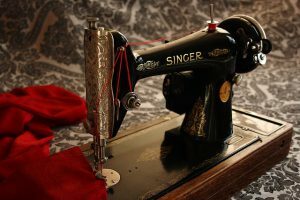 My mom purchased her first Singer sewing machine in the 1950’s for about $200. It is a classic: heavy metal, strong, straight stitch machine. With the exception of replacing the electrical cord, this machine is in excellent condition and still works great more than 60 years later. Back then Singer made a fantastic sewing machine. I have heard from several sources that the original Singer Sewing Company had been sold, and the new company operates under the same name. (I have not been able to confirm the truth of this information). Singer is still an enormous name in the sewing industry, manufacturing all types of machines and accessories. Just be aware that if you purchase a singer machine thinking you will be getting the same impossible to beat quality that your mother or grandmother got, you may be a little less impressed.I am not saying don’t purchase a Singer; I am however saying don’t purchase a machine ONLY because of the name. 2. When buying a sewing machine, I personally avoid from a company that also makes also microwaves, printers and fax machines. Just my opinion – you may find other people who totally disagree with me. 3. Remember to always read the customer reviews on a sewing machine you are thinking about buying! What are other customers saying about how it operates, ease of use, quality of stitches etc. 4. Before buying a sewing machine, be sure to also check the Return Policy of the seller. Avoid any difficulties later if the machine turns out not meet your expectations. I have purchased 3 sewing machines in the last 20 years. Two of them have been Babylocks and one is an Elna. (None of these machines were at the high end of the price scale.) I have been extremely happy with the quality of all of these machines. They produce smooth even stitches and all continue to give me hours of outstanding service. A few other manufactures to keep an eye out for when buying a sewing machine are: Bernina, Husqvarna Viking, Pfaff, and Janome. I have heard many good things about these brands, although I have not personally owned one.